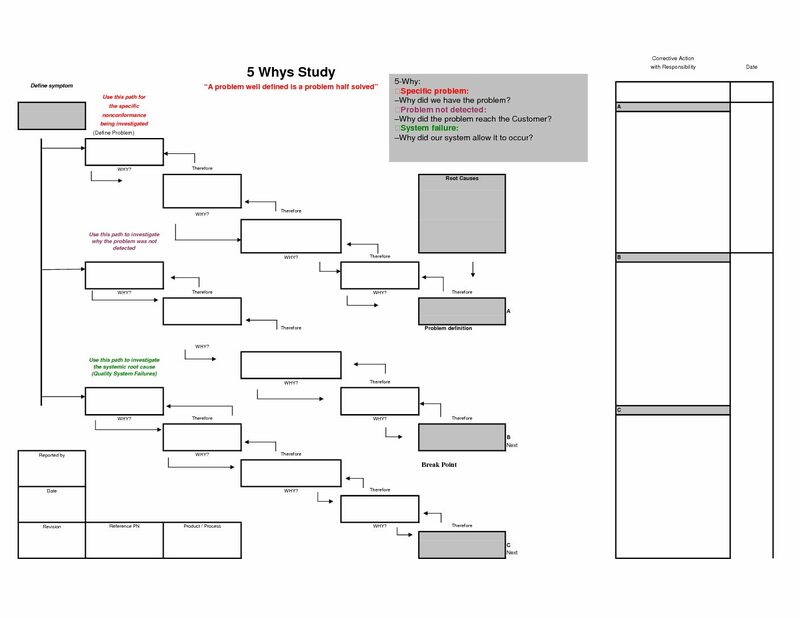 I once mentioned, in the introduction to supplier lifecycle, that contracts are often included in the supplier selection process in strategic sourcing. But here I’d like to focus on it exclusively because of its importance. Not being an expert in the law, I won’t discuss specific contract contents and precautions much. People often feel reluctant and hesitating in signing contracts for fear that they might be trapped by the other party. As a result, they would like to do anything, say, put the contract aside or be extremely cautious about the wording, but return a prompt reply. Trust is much bigger than words; it is something consolidated by contracting relationship and surpassing. As the contracting parties go further in cooperation, new unanticipated circumstances may occur, troubles calling for mutual trust to be solved. A newly married couple getting their marriage certificate doesn’t have their affection ensured by the law. Instead, they will possibly fight over daily trifles. In this consideration, they should understand, support and trust each other to ease the tension, so as to live a life-long harmony. Meanwhile contracting relationship can also be enhanced through improving mutual trust, the fulfilment of which goes step by step as the business proceeds. Perhaps it is only in project purchasing that business won’t begin until a full set of contracts are signed. People take great risks doing one-shot deal. In the past when people were simple and honest, most of them got married once, divorce and remarriage being contrary to the common sense and despised by the tradition. So in times like that, getting married was a highly risky matter. “Follow the man you marry, be he a fowl or a cur, “because chances are small that you make changes. In the case of fixed contracts, new contracts are added to the original one due to the rising complexity and risks resulted from increased businesses. So contracts are a tool that can be used incrementally according to the needs and development of businesses. For example, an additional separate quality agreement is needed when such issues as quality warranty, acceptance inspection standards and complaint-handling rules should be regulated; contracts concerning molds are added when a purchaser plans to start a new business—mold buying—with its supplier, to stipulate the price, the sharing and amortization of mold costs,etc. ;brand authorization contracts are referred to when single product variety expands to complex series which brings problems of brand authorization and larger risks. Secondly, additional contracts are also needed when corporate policies change, which often takes place due to reshuffle of the leadership. New powerful leaders, with different leading strategy, may make adjustments or complements for existing but outdated or inappropriate contract items. Supplier self-assessment questionnaire is an important part in Supplier Selection Process to enable capable and interested suppliers present their strength and weakness to purchasing organization using same process and template. The supplier manual is like the employee handbook, which is usually signed when the two parties have settled business relationship and are about to receive the first order from the purchaser. The employee handbook must be something that will be studied the first week we go to work. Sophisticated human resources experts will let everyone write down their name after the employee reads through the employee manual. 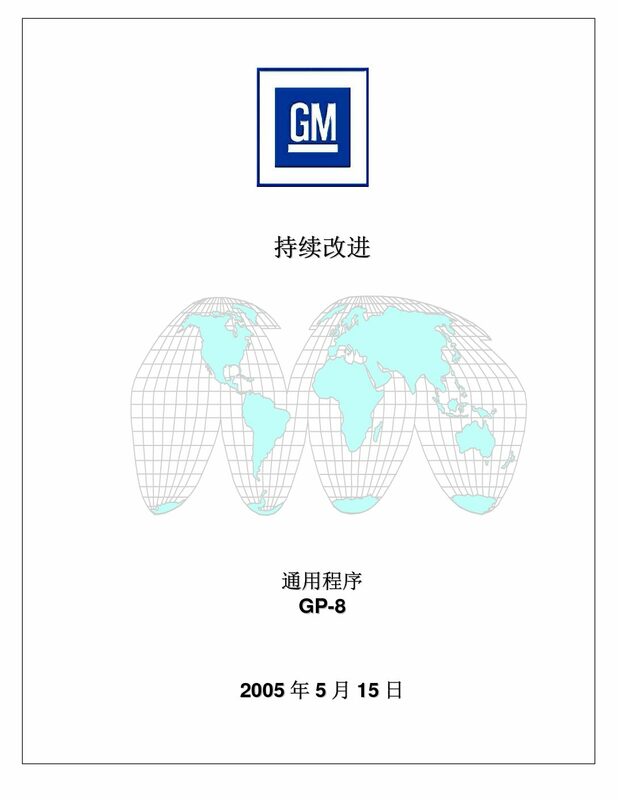 As explainary guidance to Supplier Manual, to enable supplier understand and follow customer specific requirement and expectation over the Quality Assurance Process throughout from Specification Agreement, Product and Process Approval, Engineering Change, Warranty and Complaints Management Process etc., by binding them legally through signing off the agreement. The supplier profile serves as a company identity file recorded at the purchaser side. It is listed in contract partially because the validity of the written commitment can be ensured and information verification, delivery, approval and archiving can be regulated this way. The objective of Certificate of Conformity (CoC) and/or Declaration Letter over REACH, RoHS, Conflict Minerals (SEC), etc. is to ensure suppliers are continuously complying with the increasing statutory requirement and regulations of Hazardous Substances (HS) from worldwide, and as a result to protect purchasing organization away from any severe penalties due to HS subjects. It is also a sort of commitment statement. 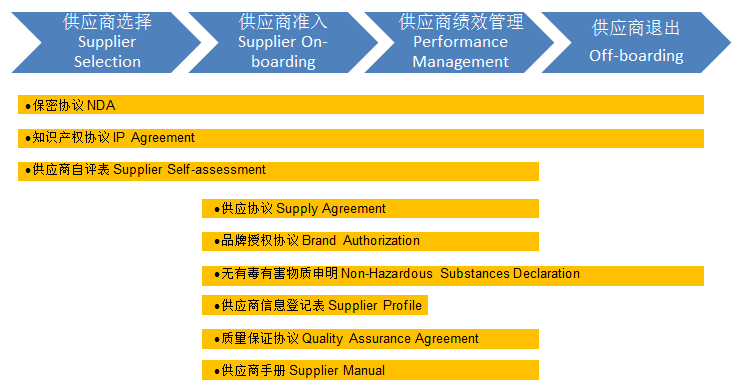 A company with standard business management usually will investigate the risks in the whole supply chain before signing the agreement for customers. As basic business rule, the objective of Brand Authorization is to ensure suppliers and their sub-suppliers are authorized legally to use purchasing organizations or upstream customers’ trademarks and correctly use them under supervision. The supply agreement is an extension of partnership on the basis of fixed contracts. While most supply agreements are not proposed until the business has extended to some degree, some are signed in the early stage of building relationship mainly because of project critical or key technologies. Supply Agreement is general contract to interpret and facilitate the transaction, including purchasing object, order framework, forecast, production, delivery, stock, payment, quality dispute, compensation, etc. 其目的是有助于合同双方在日常沟通中达成共识。当然作为总的框架合同，供应合同也可用于被增补一些更具体的合同和协议，比如报价条款协议，前置期协议，计划协议或者又称准时交货协议，安全库存协议或者又称供方库存协议，返点协议等等。Its objective is to help the both sides of contractor reach an common sense in daily communication. As a general contract, Supply Agreement can be amended by associated specific contracts like quotation term agreement, lead time agreement, schedule agreement or JIT agreement, safety stock agreement or VMI agreement, Rebate Agreement, on so on. Non-Disclosure Agreements should also be signed before the establishment of business relationship, which is the underlying contract for quotation to protect the information from being leaked. Non-Disclosure Agreement (NDA) sets forth the terms and conditions under which Proprietary Information may be used, duplicated and disclosed in conjunction with the request for a quotation, sample, advertising, exhibition, in-house production, outsourcing, storage, or even EOL clean up. “知识产权”指所有智慧及工业相关权利，包括专利，版权，已注册或未注册商标，已注册或未注册设计，贸易机密，科学发现，发明，机密工艺，文艺作品，商业方法，程序等等。“Intellectual Property“ means all intellectual and industrial property rights including patent, copyright, registered and unregistered trademarks, registered and unregistered designs, trade secrets, discoveries, inventions, secret processes, works, business methods, procedures, etc. IP agreements and Non-Disclosure Agreement are usually listed as one contract, known as the “confidentiality agreement on intellectual property rights”. But in practice, IP is not so often referred to while confidentiality for basic information is required, so they two are again separated apart. If the purchaser has special requirements of, say, product design, patent and so on, it should sign an IP agreement with the supplier in the early stage of supplier selection to reduce business risks. The starting point of the ribbon represents the link where a related agreement gets started. Some ribbons cover more than one life stages, or even the whole life cycle; it may be because some relevant process haven’t been well established by the purchaser when these agreements are to be formed. 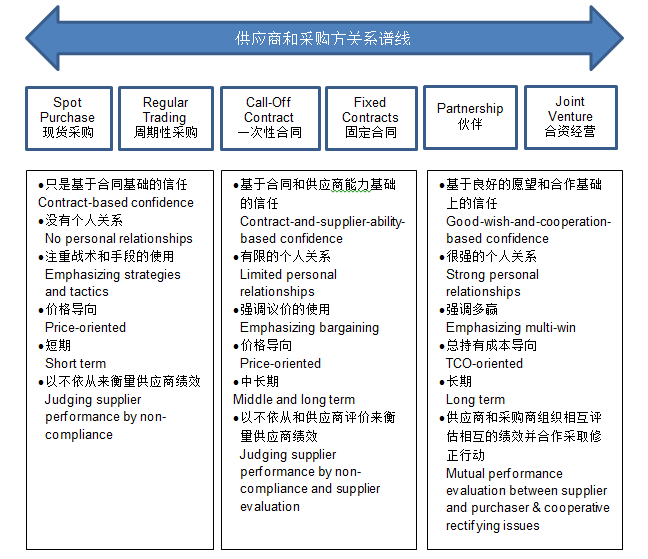 After the process is well-established by the purchaser, however, it is still necessary that the purchaser complement these contracts and agreements with the supplier with whom it has already built business relationship on the basis of future cooperation. It also accounts for the reason why purchasing and supplier management are dynamic rather than immutable. But in the supplier exit stage, no more efforts will be taken to reach agreements due to resource limitation and reducing business relationship. Instead, the purchaser will try to find out how to end this relationship properly. Those who initiate relevant contracts, usually a specific responsible position or person. Those who send contracts to the supplier, not necessarily the same one as initiator for a contract may be packed with other information to supplier, making it a complete order. Those who trace the contract sent to the supplier, explaining the specific content and requirements, and coordinating negotiations and concessions between the internal and the external parties in order for the fulfilment of the contract. Those who possess and maintain the status of the whole contract, to ensure the validity, distribution and progress of all contracting information. Those who are responsible for file archiving after the signing of the contract, storing signed documents and reminding relevant personnel before the expiration of the contract. Those who are responsible for the compilation of relevant processes and templates. Different contracts differ in management process. Usually the driver is also the owner of the process and the specific contract template is designed by it with the joint efforts of some legal personnel and other participants. In this way, people will feel easy and flexible to make minor amendment in contents and templates in specific negotiations rather than report all the details to their boss. Contracts cannot be abused. As a symbol for and an evidence of a relationship, it is not necessary to bear contracts in mind or codify it as a guide for all behaviors, which may otherwise lead to misunderstanding and tension between the two parties. Those who merely count on the marriage certificate or the labor contract to judge others and for help must be immature youths or inexperienced human resources stuff. Great Acknowledge Given to Ms. Claire Wang from Guangdong University of Foreign Studies for Translation.